As a non-profit organization, we are continually looking for ways to raise money to support our program. In addition to holding several fundraisers a year, we regularly apply for grants and also receive donations from generous supporters. Your donations and pledges, whatever the size, are fully tax-deductible, and are essential for covering our operation costs, which include insurance, food, and containers. Your ongoing pledge, one-time donation, bequest, or gift of a car, motorcycle or boat you no longer need, will help ensure funding that enables us to continue this vital service. Select Food From The Heart, Inc. as your chosen charity when you shop Amazon and create AmazonSmile as a new bookmark to use every time you make an Amazon purchase. This won't cost you anything extra – Amazon takes 0.5% of its profit on each of your purchases to give to us. This doesn't impact your shopping or your Prime service at all, while directly benefiting us. 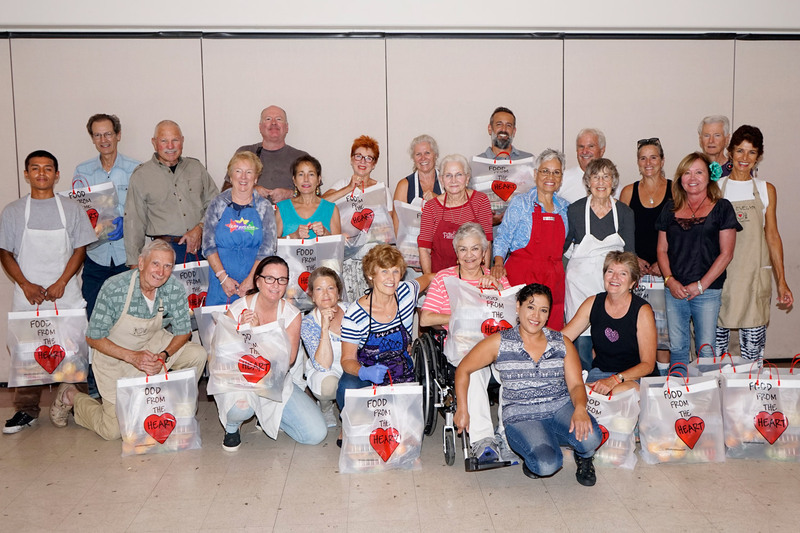 One-time donations are always appreciated, or an ongoing pledge to Food from the Heart will help ensure regular and consistent funding that we can count on. Press the Donate button and you will be routed to the secure Paypal site where you can donate using your credit card, debit card or Paypal account. You may choose the amount of your donation from the PayPal interface. Press the Subscribe button and you will be routed to the secure Paypal site where you can donate using your credit card, debit card or Paypal account. Choose the amount of your monthly pledge from the dropdown menu before you click the Subscribe button.